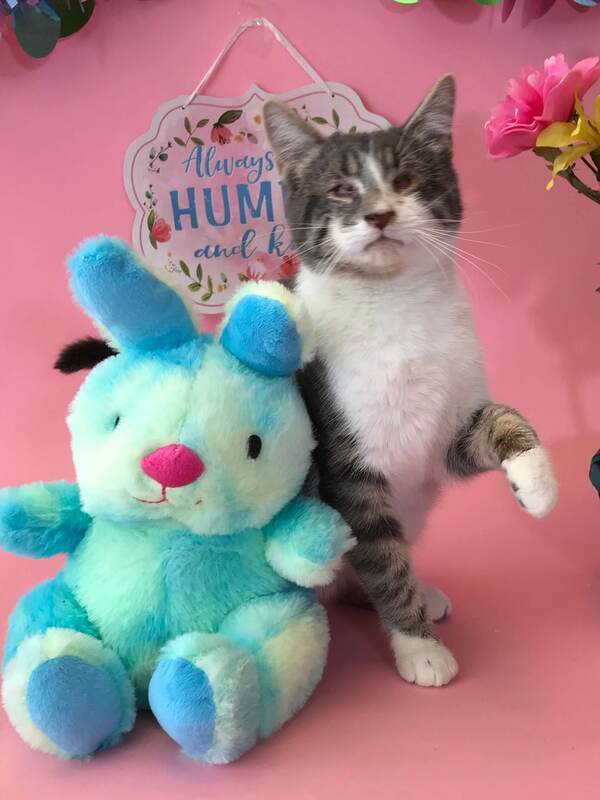 Greyson Silverpaws came to us from Mexico where he was found as a small blind kitten; wandering the streets alone, scared, and starving. He was born blind with a condition called micropthalmia. A kind woman we've helped before with other special needs found Greyson and contacted us and we arranged for him to be transported to Milo's. From day one, Greyson has proven that he is a fearless adventurer. He enjoys wrestling with the other Lifetime Care Cats, walks on a leash, climbs everything he can, and loves to travel. 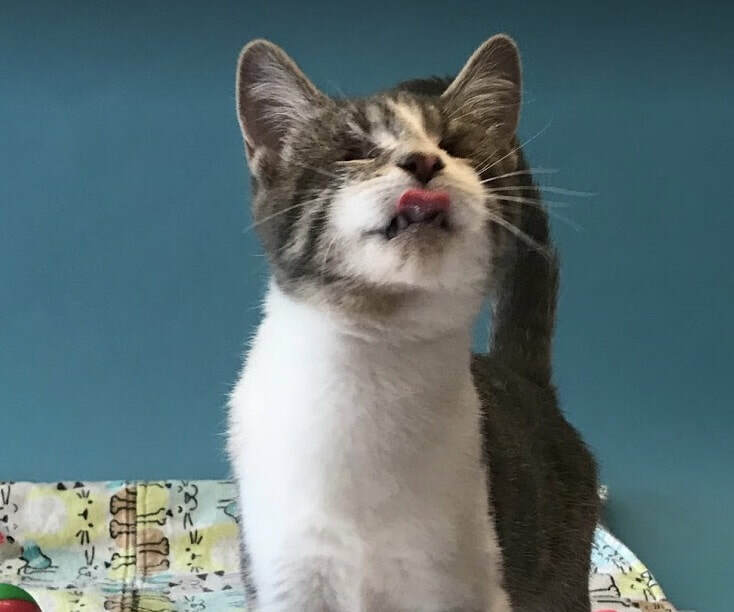 He has nominated himself as our Blind Cat Ambassador and would also like to become a therapy cat, which we agree with completely and are working towards helping him achieve his goals. 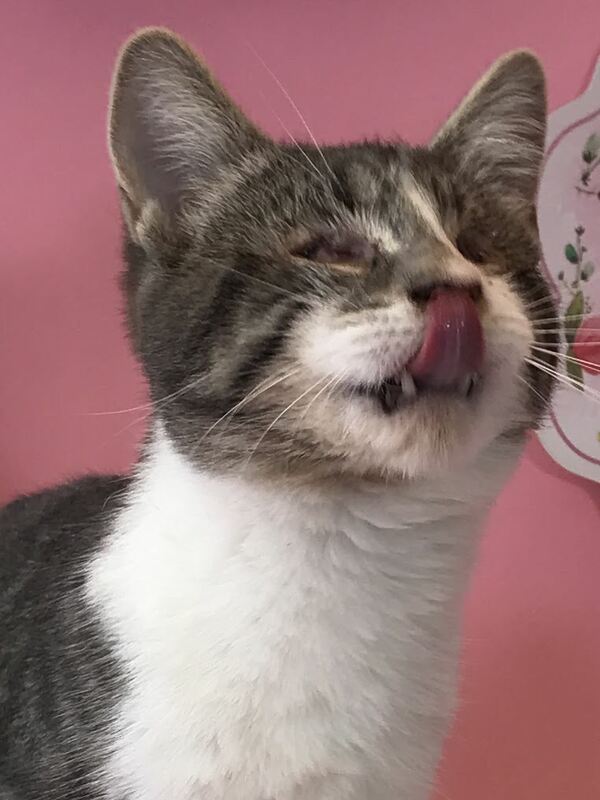 His other goal is to have sponsors so he can live his best life and continue to teach people how amazing, magical and special blind cats are for many years to come! Please consider sponsoring our spunky adventurer! Thank you!